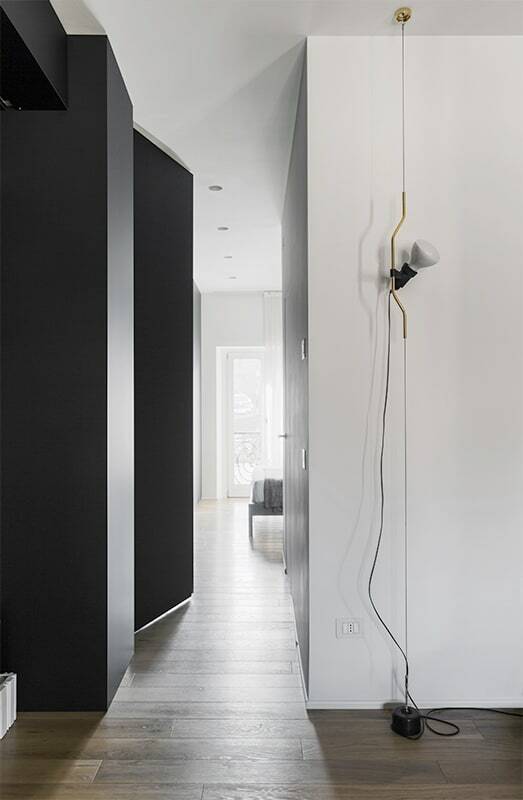 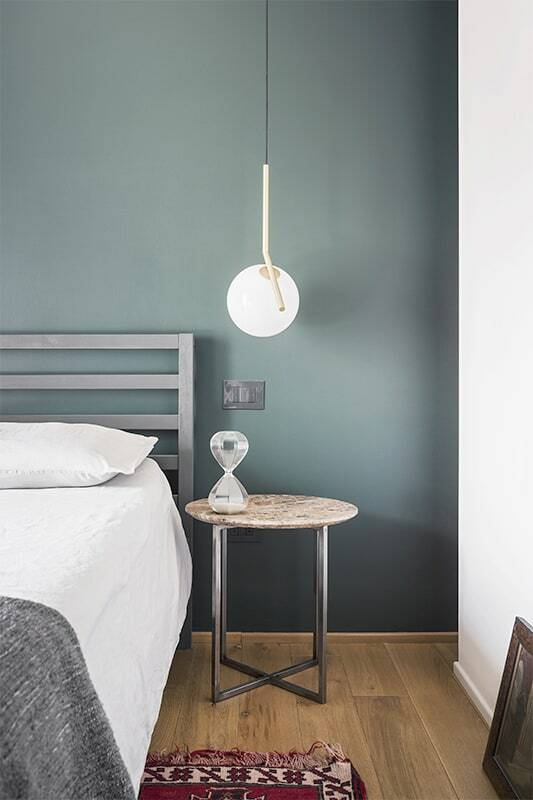 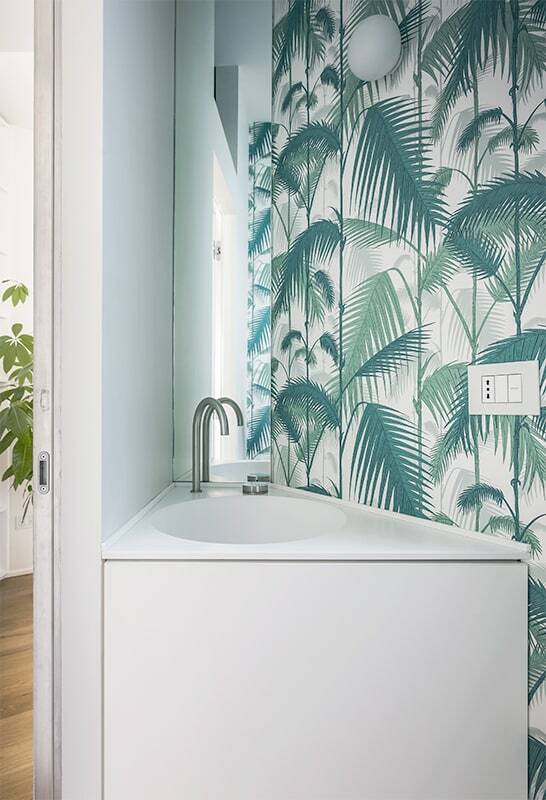 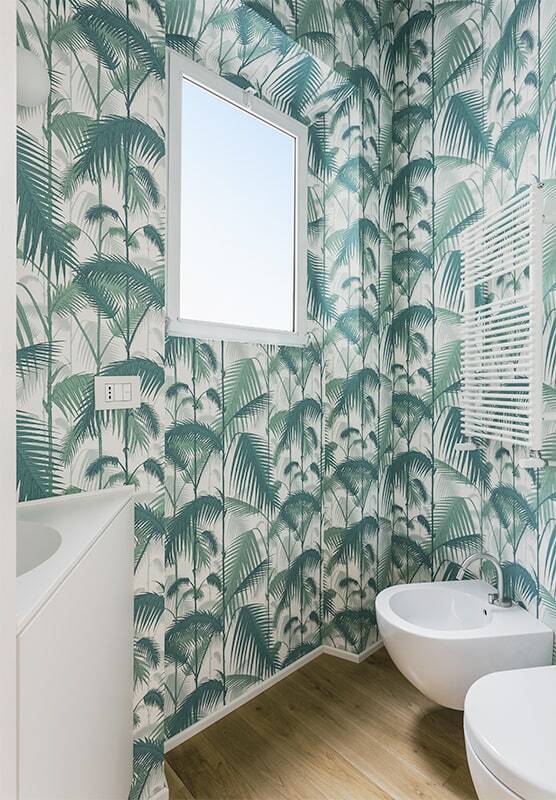 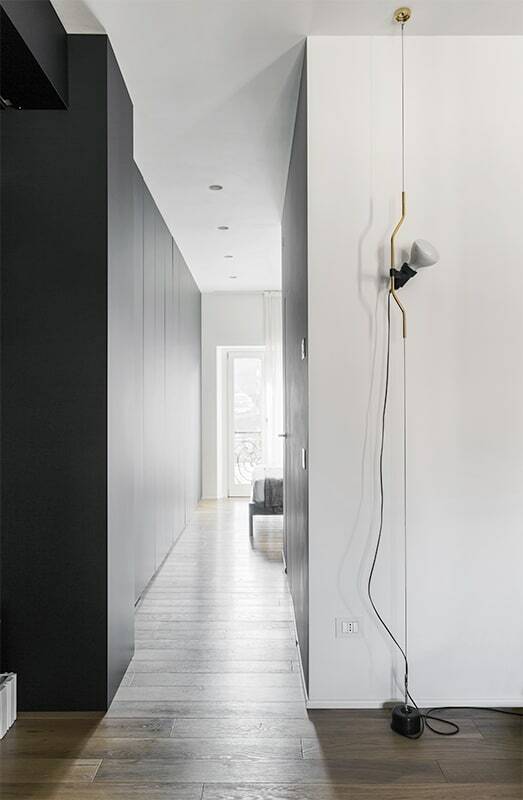 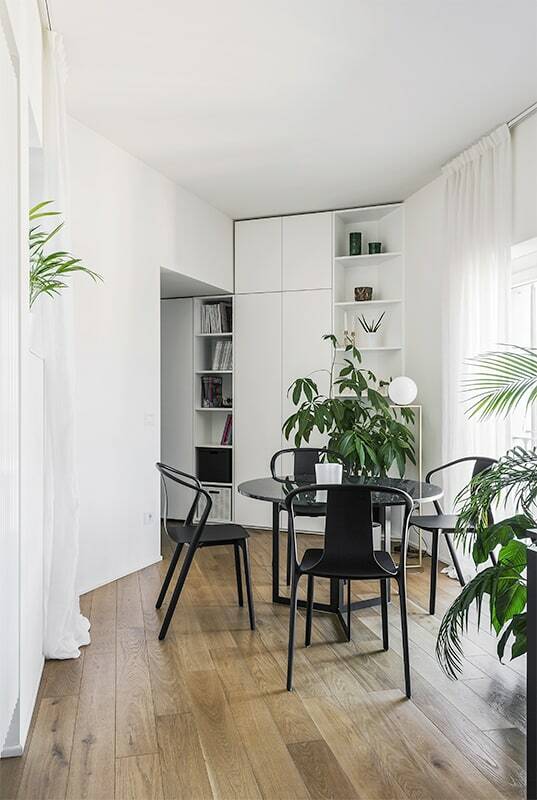 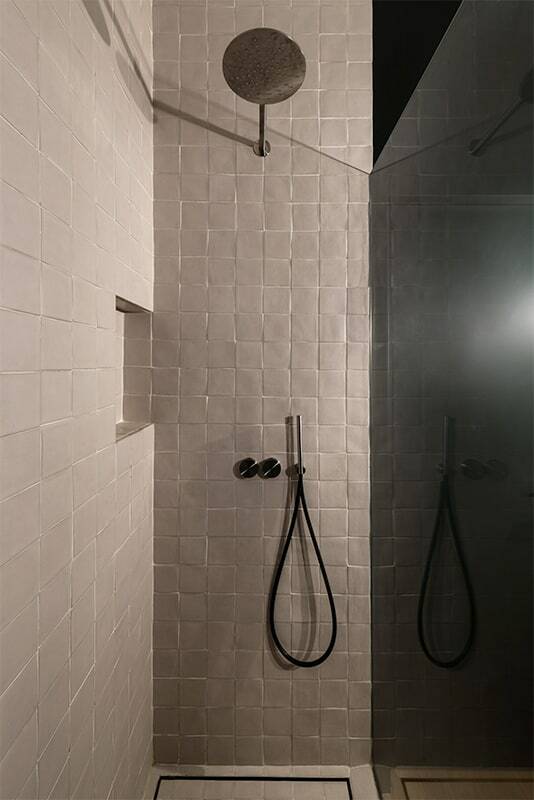 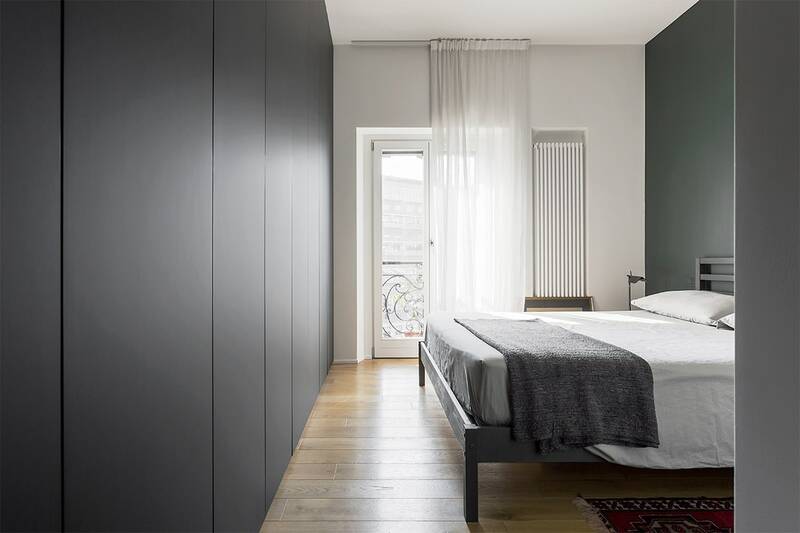 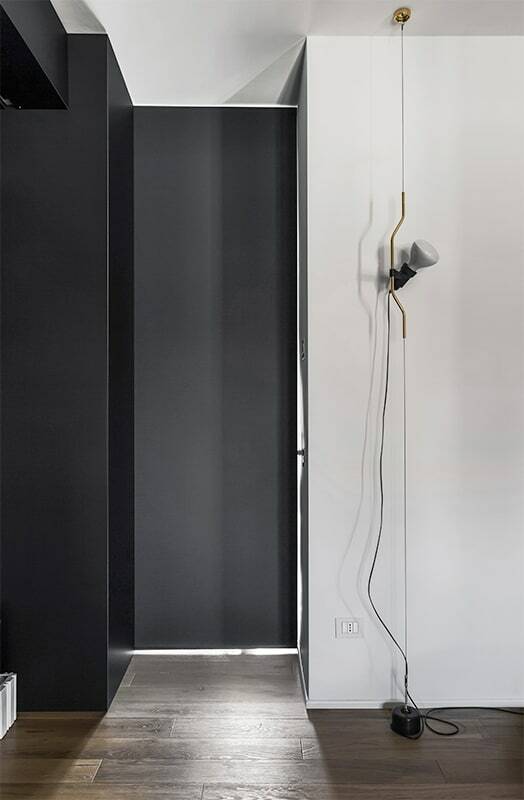 A medium-sized apartment for a young milanese designer, located in the heart of the city’s financial district. 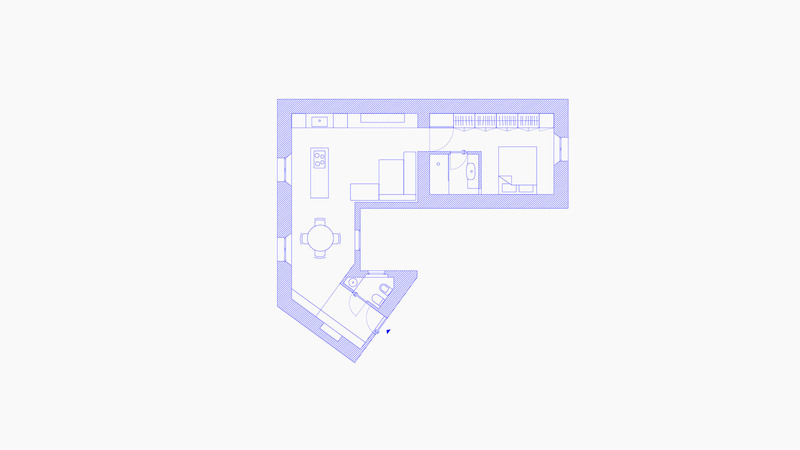 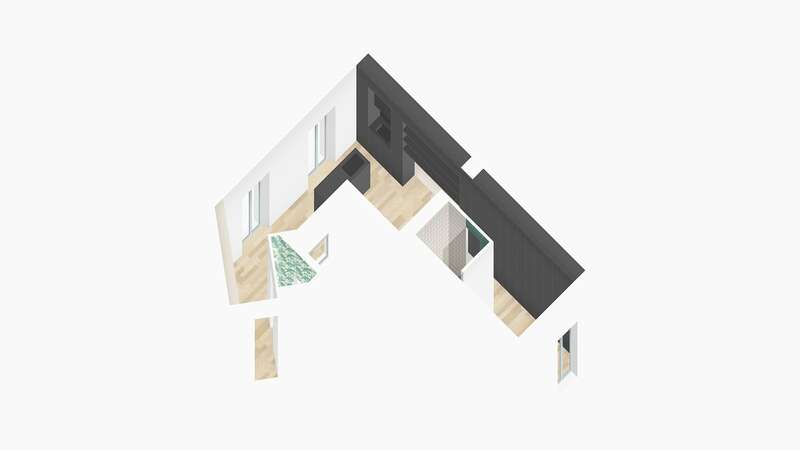 The particular shape of the plan has allowed us to treat the interiors as a sequence of linked spaces, following a gradient that goes from shared spaces to more private ones. 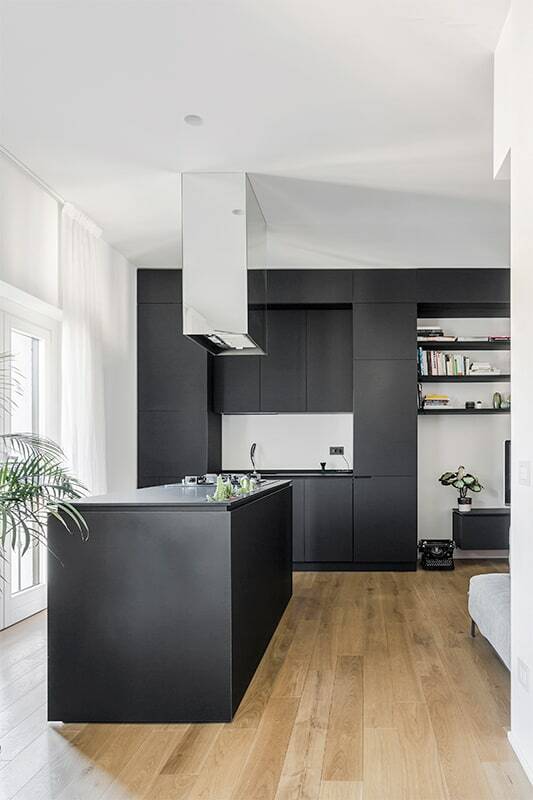 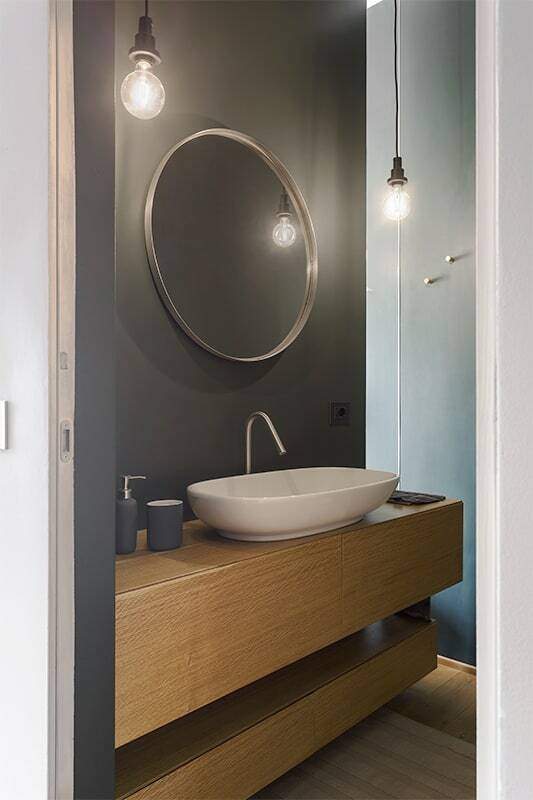 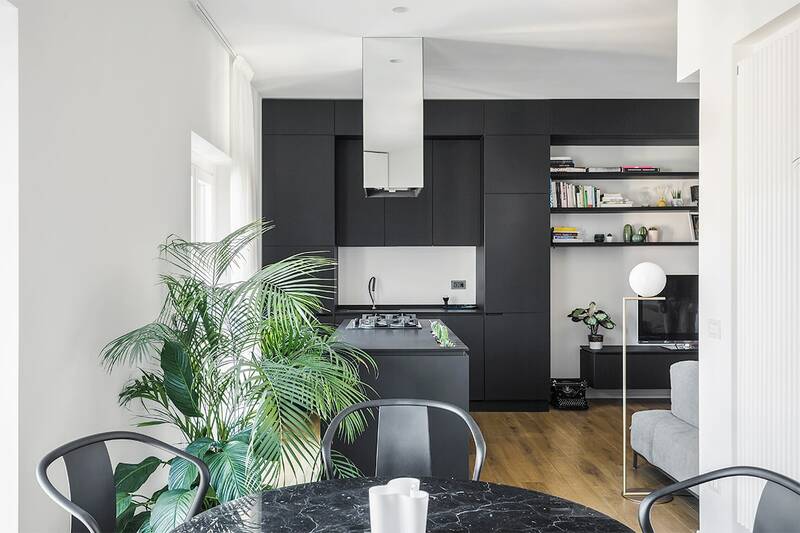 Bright and contemporary materials and colors have been chosen according to the owner’s taste: a predominance of black and white surfaces is contrasted by touches of moody and darker colors and finishes.